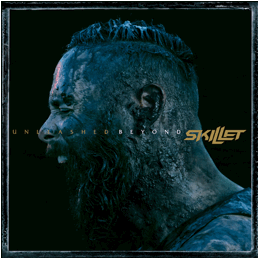 Building on the success of their critically acclaimed and commercially successful release Unleashed, Skillet is back with a new deluxe edition of the album. Unleashed Beyond is slated for release on November 17th via Atlantic Records. The deluxe edition features the previously released version of the album as well as 5 unreleased tracks including a song that features former Flyleaf vocalist Lacey Sturm. There are also 3 remixes of tracks from Unleashed including the #1 single “Feel Invincible,” the crowd favorite “The Resistance” and the masterful interpretation of “Stars” from the recent film The Shack. The deluxe edition is currently available for pre-order on all Skillet tour stops as well as via their webstore at: www.skillet.com/store. Skillet is currently touring in support of Unleashed on the Air1 Positive Hits Tour. Information for tickets on all upcoming shows can be found at:http://www.skillet.com/tour.